How well is your business doing in the Brisbane local rankings? Are you in the 'three pack' at the top of the page or your business type? If not, could you ever get there and is it worth the effort? What's the difference between national/international ranking and local ranking in Brisbane? These are some of the questions we're going to answer in this article. To see if it sticks, we're going to provide you with a little quiz at the end to see if we made ourselves clear! So let's go! Clearly, as a small business, the majority of your competitors are also small business, which means that they will not be doing in-house SEO and web-design in general; they will be outsourcing. They will in general have limited budgets, and can be beaten - you are not facing companies like Amazon and other major brands; some of these smaller companies will be well established and fairly tough to beat, but at least the battlefield does not look hopeless! We're going to use an example for this - an electrical contracting business. This will give you an idea of how online competition works in your Brisbane based local business. The status of our competitors - how many good links do they have and so on. How do we compete as a Brisbane Business? There is an EASY term 'Electrical Services Brisbane' with fifty searches per month - that's potentially a lot of business​ for an electrician and getting into the top-spot will not be difficult. Point 2 is also valid for the business directory we see in the last keyword - TrueLocal. ​THIS SITE HAS NO BACKLINKS!!! WOW! - This on 26 February 2017. If I wanted to get business for an electrician in Brisbane FAST - I'd be going for this keyword.​ Doubtless, many will read this post and the situation will change. SEO Brisbane - Getting Ranked - where Do We Begin? We start with a SEO Brisbane MASTER PACK from RowleySEO. 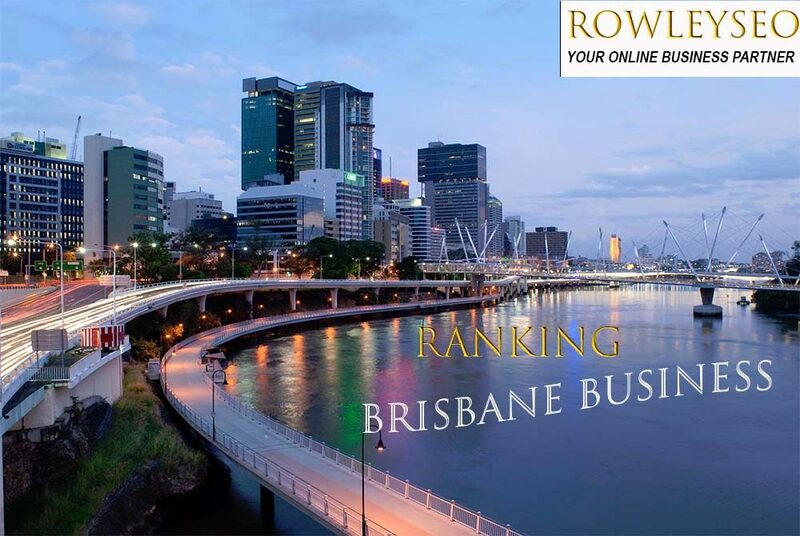 RowleySEO specialises in supporting local business with its SEO Brisbane Local Ranking Package and can help your local business to succeed online. Call us!